Have you explored MilitaryByOwner's new responsive site? 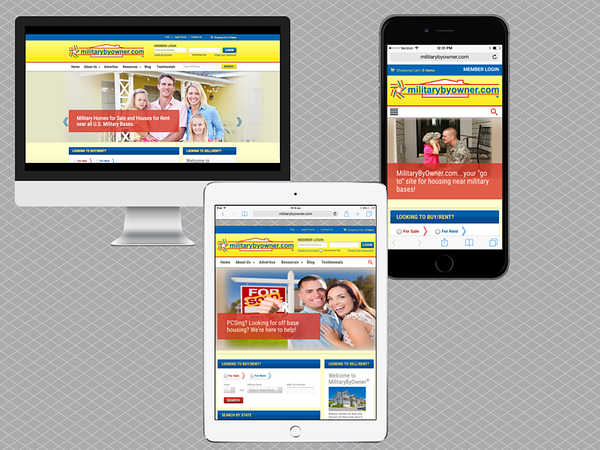 New responsive site works equally well on your desktop, laptop, tablet, or mobile device. Ability to narrow a home search by zip code. Easily adding or deleting search parameters when looking for a home to buy or rent. Homes for sale or rent searches can include the age of home, garage type, special features, property type, and more. Sort ads by who's advertising: owner, agent, or property manager. New keyword/phrase search field. Simply type in a word (such as "landlord") and up will pop content and useful product matches. For more on using the enhanced features of MilitaryByOwner's new responsive site, we've produced the below tutorial to make the most of what's available!